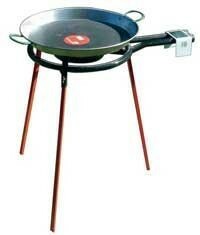 Original Spanish paella gas burner from Vaello. 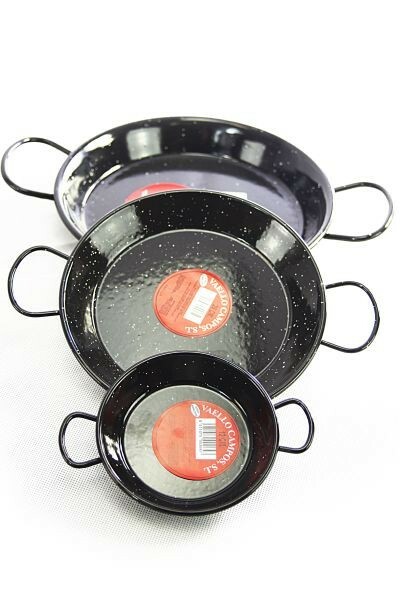 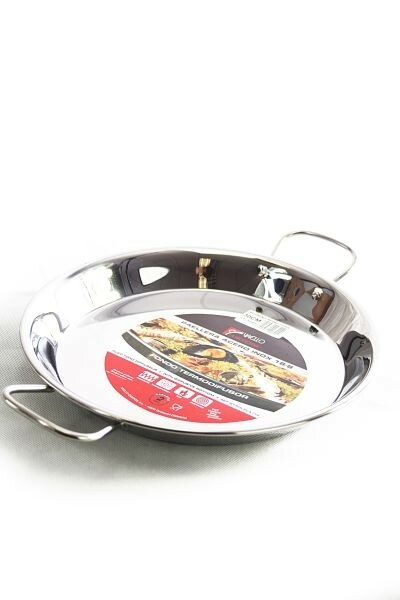 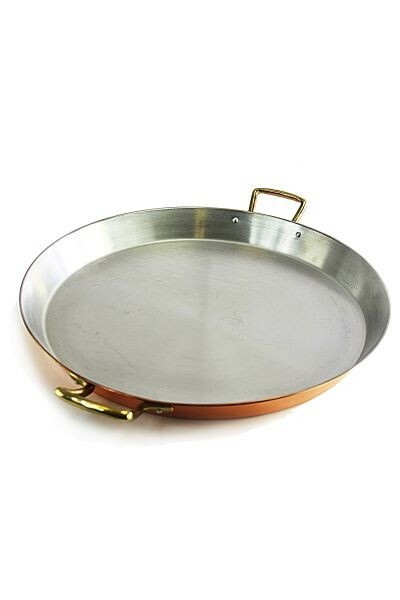 30 cm diameter for all paella pans, and pots with the appropriate diameter. Heating can be very easily and effectively done with a gas burner, and if necessary the temperature can be reduced just as quickly again. 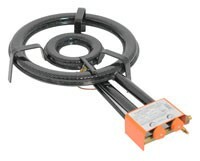 All in all, regulating the temperature on a gas burner is more exact in comparison to an electric hot plate. 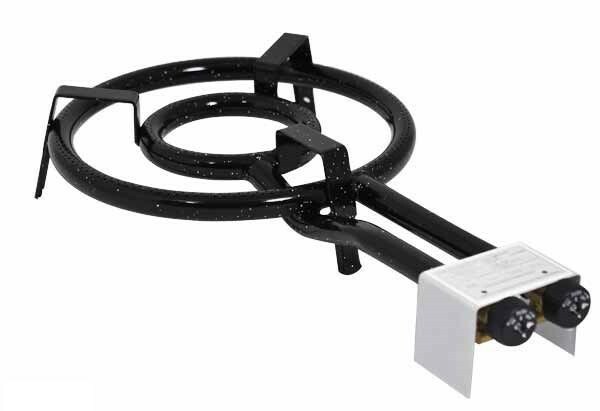 This gas burner comes for Spain originally and is traditionally used there for heating the pans for the national dish - the famous paella. 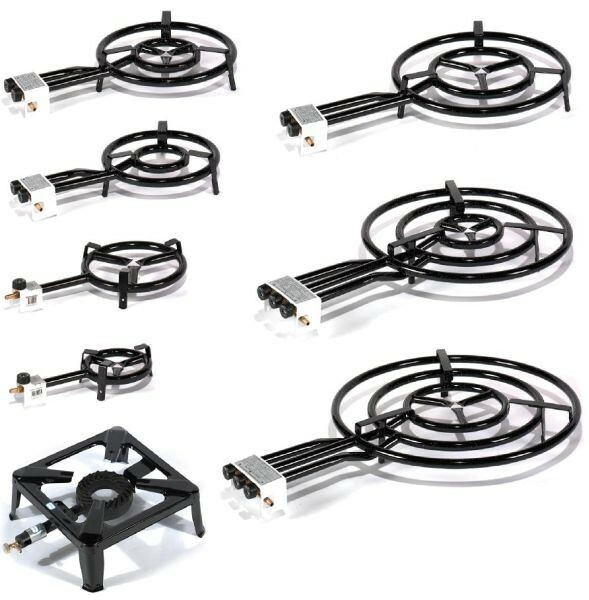 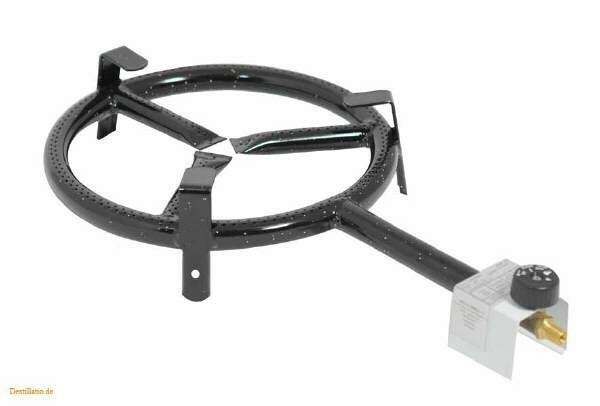 This gas burner is also perfect for cooking and frying all kinds of other dishes - or, as is customary with us, for heating the boiler of a 20 to 35/40 liter still. 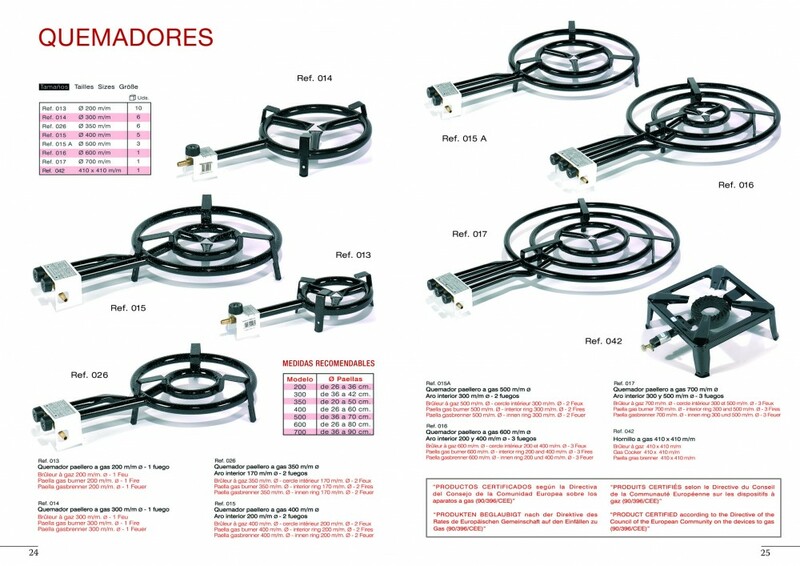 The advantage of this Spanish paella gas burner is the large ring flame which distributes the heat evenly over a wide surface. 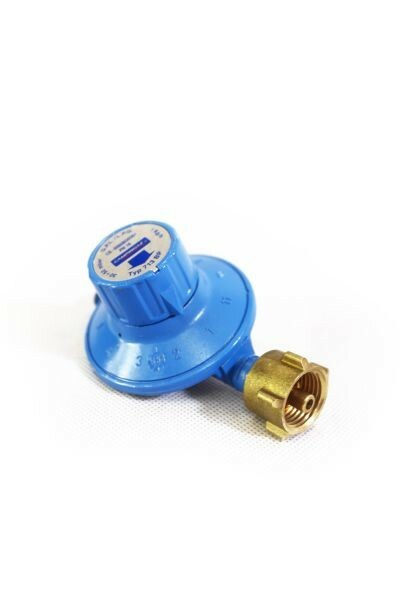 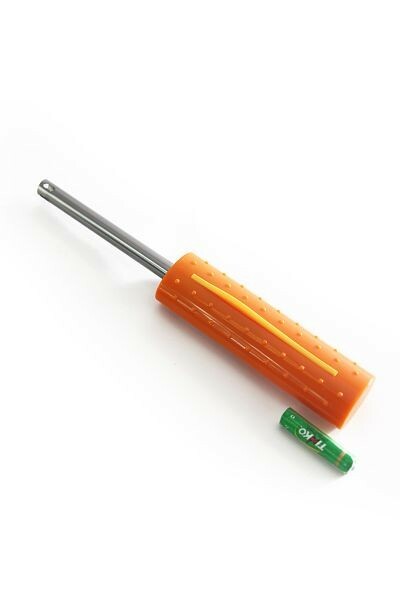 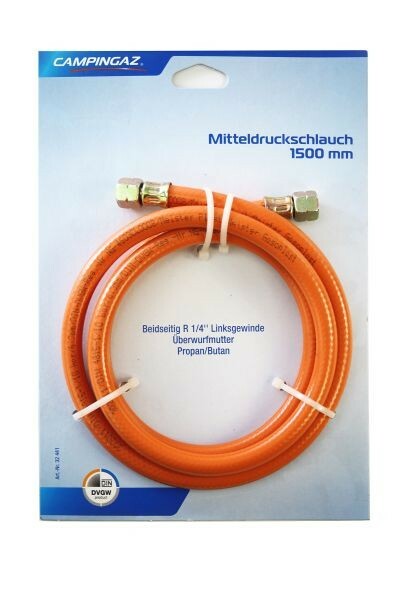 Please note that we can supply various gas connections - if you do not specify which one, we always deliver the connector for German gas regulators and hoses in Germany.